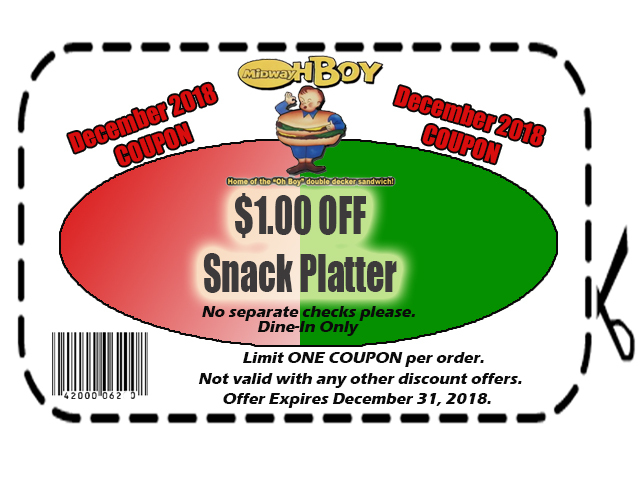 Get $1.00 OFF your snack platter during December! Dine -In Only. No separate checks please. Not valid with any other discount offers. Offer expires December 31, 2018.